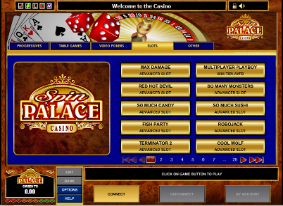 Spin Palace is one of the oldest and most recognizable brands in online gaming. It’s particularly popular on Canadian, Australian and European markets. The casino is powered by Microgaming software, operates in 20 languages and accepts every major currency world wide. New players can get started by claiming their $1000 Welcome Bonus. 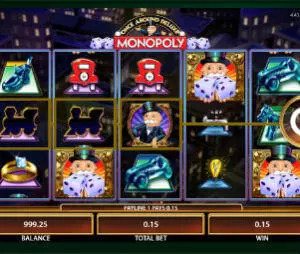 Claim your 1000 C$/€/AUD Bonus at Spin Palace Flash CasinoAs you probably read on our Spin Palace casino review, you can play the games either through downloading the software or using the Flash versions. Spin Palace Flash casino offers slightly lower amount of games then the download version, but with over 500 casino games, it is not something that would affect your experience. New players at Spin Palace will get a $1000 bonus on their first 3 deposit, including a 100% bonus up to 250 on your first deposit. The flash version is very well organized and user friendly, and the only tricky part is to find the flash casino button :-). As you can see on the screenshot below, it is located at the right side of the top menu. Click on that button and the flash casino will open up. Then you will need to register an account and make the initial deposit – here you can also redeem your 100% bonus. If you have some questions during the process up, just click on the Live Chat button located the top right corner of the screen. Spin Palace casino allows you to try all their games for free, without the need to make a deposit. 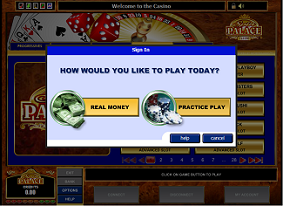 All you need to do is click on Play for Fun button, register and you can play all the games for free. That’s pretty much it. Go ahead and have fun.